State Rep. Eric Johnson's bill aimed at providing relief for the epicenter of Dallas' affordable housing crisis is among legislation expected to be blocked from a House vote on Friday. That would likely kill his bill. 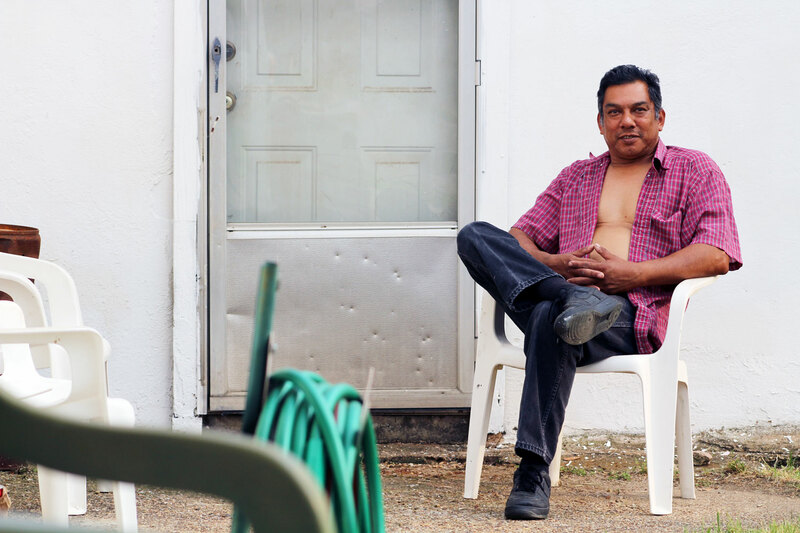 DALLAS — A lot has changed in West Dallas since Pete Hernandez’s dad built his family a tiny house — one room at a time — on Guam Street almost 80 years ago. The neighborhood’s mostly one-story, wood-frame homes now have running water. The streets are now paved. 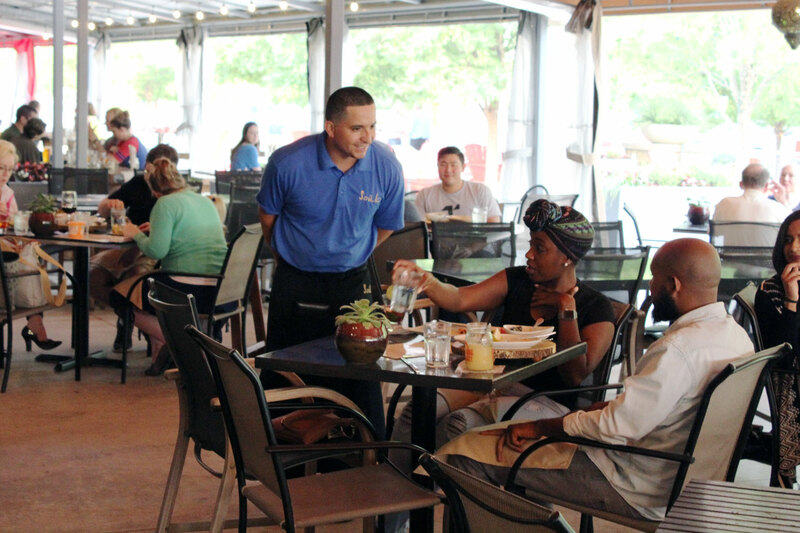 The nearby plot of land that used to house a freight company on Singleton Boulevard is now home to Trinity Groves, a well-hyped collection of trendy restaurants that lures people from all over Dallas every night of the week. That publicly subsidized development and the five-year-old Margaret Hunt Hill Bridge that brings traffic to its steps have dramatically accelerated change in this poor, mostly minority neighborhood. And Hernandez expects he’ll soon be getting the property tax bill to prove it. The Dallas Central Appraisal District has already notified him that his house and its land are now appraised at $75,690 — nearly triple the $26,360 they were valued at last year. Hernandez estimates that’ll make his property tax bill cost about $2,300, well above the $800 or so he previously paid. The 57-year-old said he’s not sure yet how he’ll cover this year’s bill. And he’s not alone. Many area residents fear they may have to move elsewhere in a city with dwindling affordable housing options. State Rep. Eric Johnson grew up in West Dallas and now represents parts of that area. The Democrat authored legislation this session that aims to turn West Dallas from a poster child for the often-ignored side effects of gentrification into a national example of how new development can thrive without scattering poor residents. Johnson’s House Bill 2480 would send 20 percent of some tax revenues earmarked for the Trinity Groves area to nearby neighborhoods. The money could be used to fix streets, pay for people to relocate out of the area or to build affordable housing near new upscale apartments. It was tailored in a way that key provisions would only apply to certain parts of Dallas. The affected areas include a special economic development district in which Trinity Groves sits. But late Thursday, HB 2480 appeared on a list of bills that some lawmakers plan to block from House votes on Friday. That would likely kill Johnson's bill as key deadlines loom in advance of the legislative session's final day, May 29. Some of the conservative legislators seeking to challenge the litany of bills used the same maneuver earlier this week, leaving several of their colleagues wondering why their legislation was targeted. “I’m not 100 percent sure why any one of them would have actually wanted to kill that bill,” Johnson said. But he has a theory. It involves West Dallas Investments, whose officials developed Trinity Groves and are partnering with another firm on new luxury apartments going up across Singleton. Two representatives of the company did not directly answer questions about those suspicions when asked by The Texas Tribune. Jim Reynolds, one of the company representatives, sent a text message as he boarded a plane late Thursday and said the company was caught in the middle of politics. "We have been working diligently with [City of Dallas] on affordable housing initiatives and even self imposed some to benefit community but no one is telling that story!" he wrote. City and state lawmakers deny that the company is playing a role in this week's legislative tussles over the bill. Still, Johnson isn't convinced. “I’m sure there’s some relation there, I just can’t prove that,” he said. In just five years, West Dallas has gone from a hardscrabble area of aging houses and industrial buildings in the shadows of downtown’s glimmering skyline to the epicenter of this city’s mounting affordable housing crisis. It largely started with the 2012 opening of the Margaret Hunt Hill Bridge. With a gleaming white arch designed by Spanish architect Santiago Calatrava reaching skyward above the Trinity River, the structure immediately became an iconic addition to the Dallas skyline. 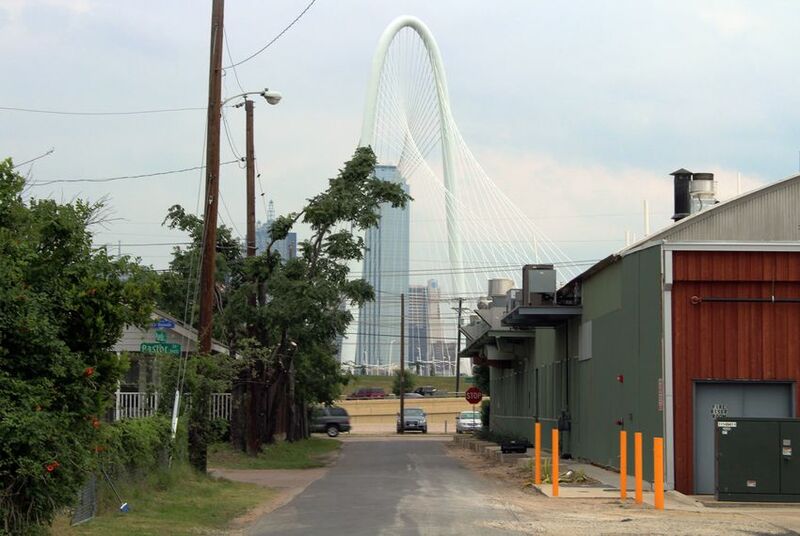 The bridge connected Dallas’ tangle of downtown highways to Singleton Boulevard, the spine of West Dallas. City officials and civic leaders viewed the new bridge as a way to spur growth in a part of town that was missing out on the development renaissances in downtown and uptown even though it sat on the fringes of those two districts. James Armstrong sat on his West Dallas porch the night the Hunt Hill bridge’s opening was commemorated and, like many neighbors, watched fireworks fill the sky. But he said few in West Dallas were exuberant. “You had a sense from the community that one side was viewing it as a celebration, and on the other side this was just another white colonization,” said the pastor of Community Fellowship Church. Within months of the structure’s opening, the Dallas City Council voted to expand the borders of a zone meant to spur development from the Victory Park area north of downtown, across the Hunt Hill bridge and into a few blocks of West Dallas surrounding Singleton Boulevard. Government entities use such tax increment financing districts, called TIFs for short, to capitalize on expected development. Typically, property taxes go into a City Hall general fund that covers the costs of a bevy of citywide services and investments. But with TIFs, the taxes collected from increased property values that comes with new development is used on a number of things inside the district itself. Many times, the money is spent on projects like new sidewalks or rebuilt streets. It can also be used to provide grants or loans to developers who may not otherwise be willing to take on debt to build new projects inside a district. So far, more than $17.4 million in public money has been spent on or earmarked for two major Trinity Groves projects within the TIF: the wildly popular restaurant development and a luxury apartment complex called The Cypress at Trinity Groves. But supporters of Johnson’s bill said the term "affordable" is relative. Generally, the determination of a housing unit’s affordability is based on the median income of residents in a large geographic area. Backers of HB 2480 say that means units deemed affordable remain out of reach for many, even when rent is lower than the rest of the luxury apartments' market rates. “None of them are affordable for the people that live here,” Armstrong said. Meanwhile, land values of the two Trinity Groves projects have skyrocketed in the last year. So, too, have many home values that are nearby but that sit outside the West Dallas portion of the TIF. While increased home values can help build wealth, the associated increase in property taxes can suddenly make longtime houses unaffordable for poorer residents and people on fixed incomes. Hernandez said he and many of his neighbors have started thinking about moving. But even though there's sudden interest in the neighborhoods, he said many homes are so old that their values don’t come close to fetching what residents would need to buy another house elsewhere in the city. “It's going to be hard for them to move,” Hernandez said. Much of Johnson's bill only applies to the poorest neighborhoods near downtown Dallas. One provision of the bill would allow tax appraisers to ignore new development when assessing the values of homes that are at least 30 years old. That could go a long way to preventing higher tax bills for established residents like Hernandez. “It’s a multifaceted tool that, if enforced, could really save communities like West Dallas,” said Armstrong, who also sits on the Dallas Housing Finance Corporation board that provides bond financing for multi-family projects. The bill would require that 20 percent of TIF funds be spent on affordable housing initiatives within an area 2 miles outside of the taxing district. Another requires that for every dollar spent on sidewalks, streets, water lines and sewers inside the district, a smaller but proportional amount would go to similar projects outside the TIF boundaries. Those are no-gos for West Dallas Investments. Reynolds testified last month that such requirements contradict the city’s current efforts to build affordable housing in more affluent areas rather than in poorer neighborhoods. He said the city has neglected West Dallas for so long that the costs to bring its infrastructure up to date already exceed the TIF’s overall budget. Reynolds also testified that the city isn’t prepared to manage such requirements. Rinaldi said he, State Rep. Jonathan Stickland, R-Bedford, and other lawmakers blocked the bevy of bills earlier this week in part because other legislators oppose them but don't want to publicly challenge colleagues or particular pieces of legislation. Johnson said he tried to talk to colleagues who already blocked HB 2480 about changing parts they don’t like but that they weren’t interested in talking. Even though it appeared on a list of bills that will be targeted again Friday, Johnson said he remains optimistic that he can get something through the Legislature. "I'm always hopeful, and there's always time for a deal," he said late Thursday. "Until there isn't." But Armstrong, the pastor, said people in the neighborhood are growing more anxious about the fast-moving changes. He said many don't see the Hunt Hill bridge as an addition to the neighborhood built for the residents. Hernandez, the lifelong West Dallas resident, said he’s not sure how much longer he’ll be able to stay in his neighborhood. Maybe someone will buy his house. Perhaps taxes will get so high that he won’t be able to afford to live there. But he knows change is inevitable, especially when he looks at The Cypress complex going up on the other side of Singleton. “Then they're going to start jumping on this side,” he said.